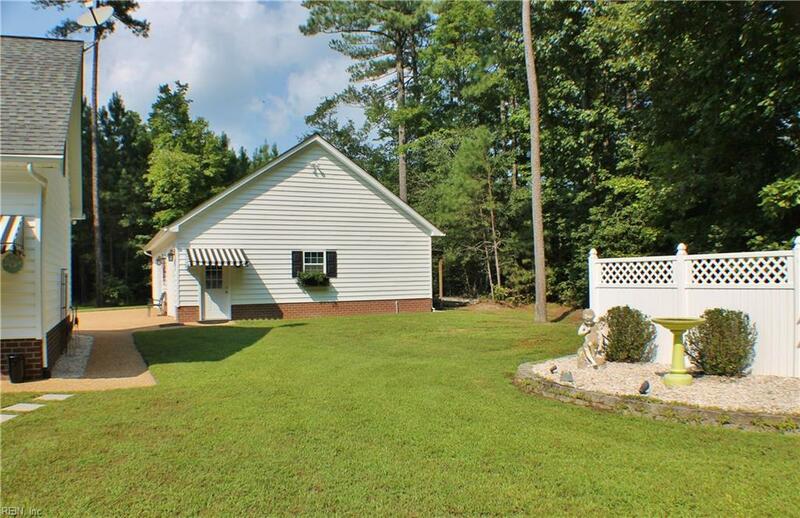 133 Schooner Ln, Mathews County, VA 23109 (#10214688) :: Abbitt Realty Co. 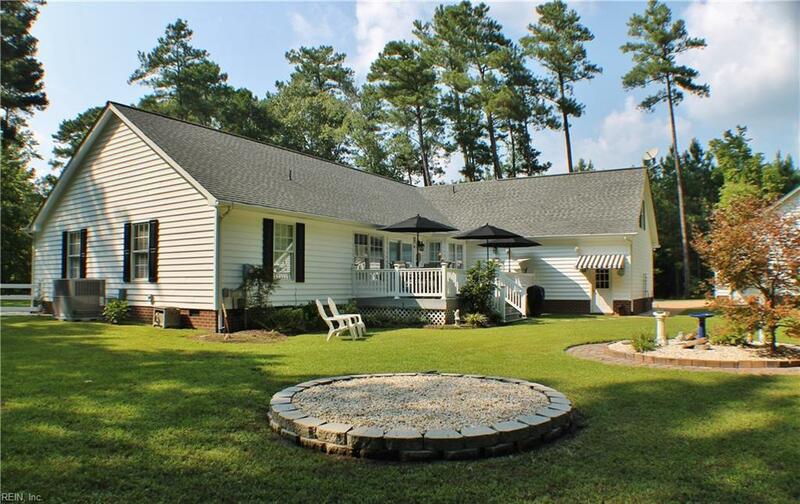 Custom built home at the end of the cul-de-sac in East River Estates on 2.69 acres. 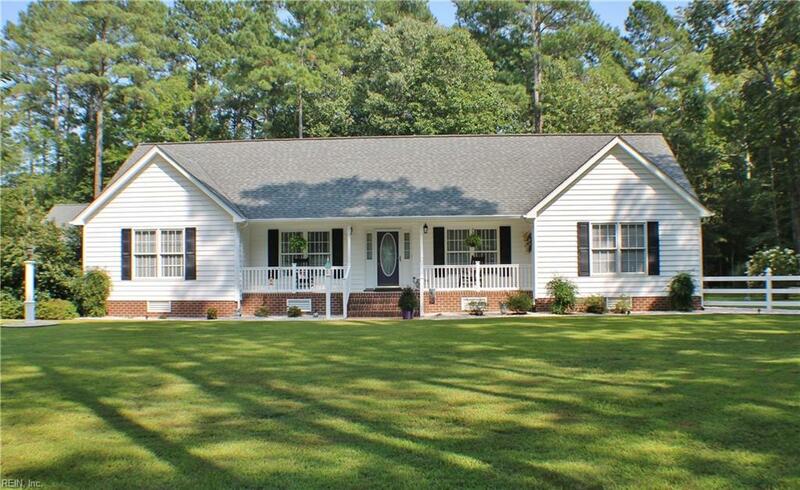 Beautifully landscaped lawn with-in minutes to schools shops & dining. 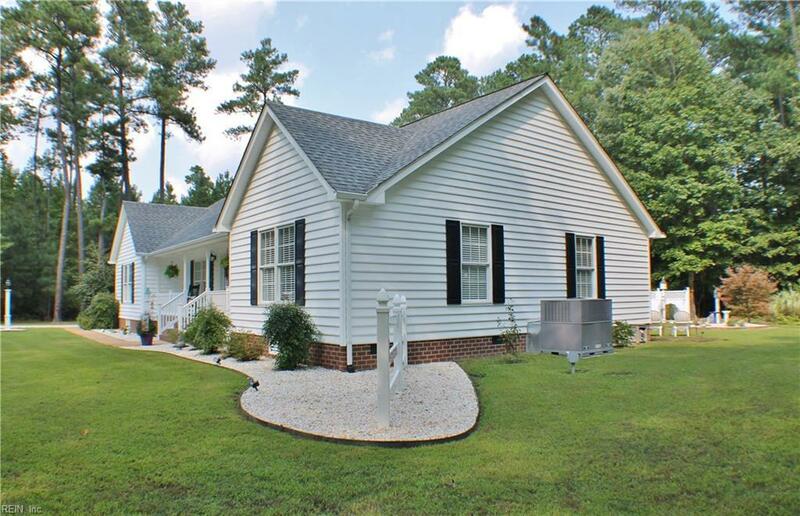 Home offers slate front porch, aggregate sidewalks and Trex deck off the back. Open floor plan with hardwood, tile, vaulted ceilings, and lots of natural lighting. Kitchen offers Corian counter tops, spacious living room with custom built-in bookcase around the gas fireplace. Private Master Suite with walk-in closet and jetted tub on the opposite side of the home. Flexible space over garage for a 4th bedroom or office space. Home is wired for generator. HVAC installed 2015, Dehumidifier and vapor barrier installed in 2015 Detached garage with workshop and floored attic. Free 1 Year Home Warranty Transfers to Buyer at Closing.